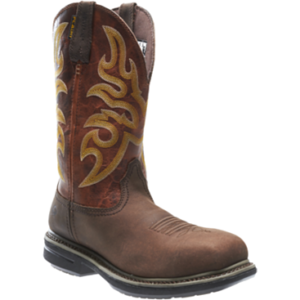 These Ariat 10016263 Boots have safety features that’ll work hard to guard your toes. 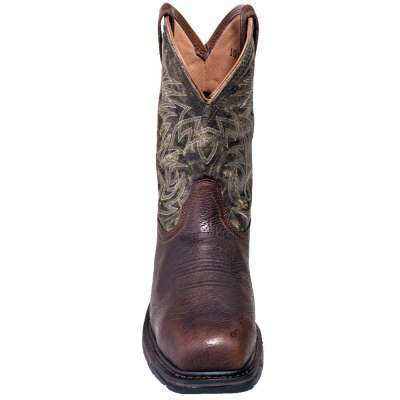 These Ariat boots feature wide square toes. The rugged uppers are 11 inches in height, so you’ll have plenty of coverage. 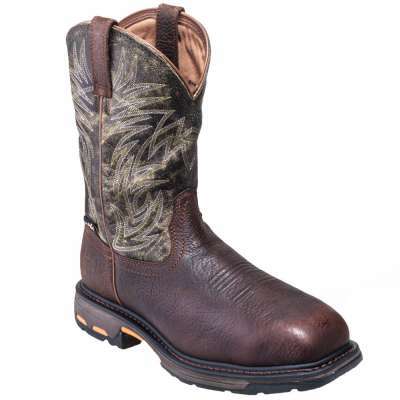 The premium, full-grain leather uppers are a moss green color, while the feet of the boots are a ridge brown color, which gives the design a nice contrast. 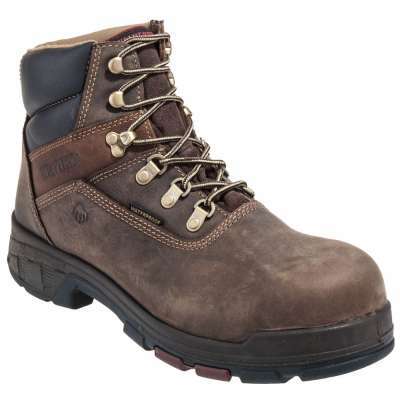 These green and brown boots also have XRD internal metatarsal guards, which are ASTM F2413-11 Mt 75 rated for metatarsal protection. Impacts from above are no laughing matter, but these met guard boots are in place to keep you smiling. 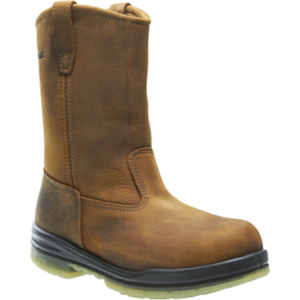 The footwear comes equipped with safety toes as well, as these meet the ASTM F2413-11 M/I/75 C/75 EH rating for safety toe coverage. What this also means is that you’ll have electrical hazard protection, which will keep you guarded around some open circuits. 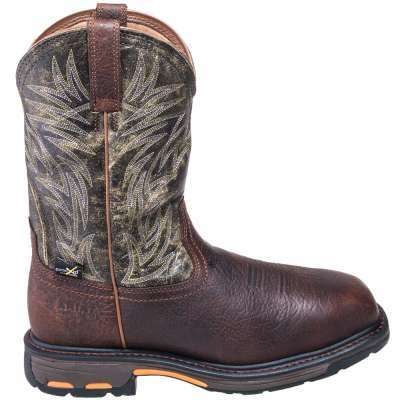 A four-row stitch pattern adds durability to the composite toe boots. 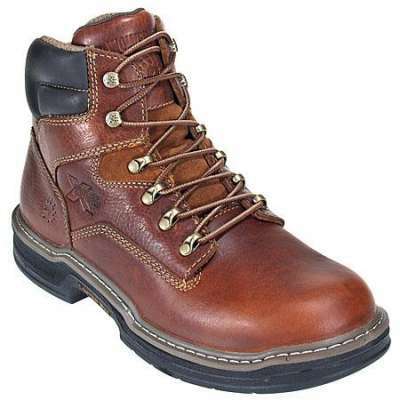 The dependable design is held together using a Goodyear welt construction. 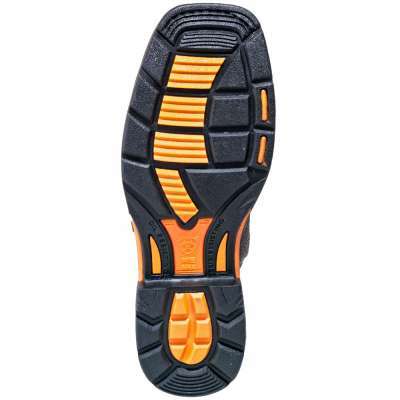 You’ll have 90-degree, and the slip-resistant Duratread outsoles allow you to maintain your upright position a lot better. These durable soles are also oil-resistant. The Workhog boots have shock-absorbing EVA midsoles to assist with the harsh impacts from the ground, and there’s a stability chassis in each of the safety toe boots to promote a proper gait cycle. For added comfort, the interior features a breathable, mesh lining.